The unexpected and oddballs of British stalking, feral populations of wild boar and goats offer some of the most amusing and unlikely sport short of cockroach racing and dray poking. For those looking for something different, these two quarry offer a chance to defend the countryside against the herbivorious onslaught and bag an unusual trophy for the lounge wall. On moonlit nights in selected secret pockets across Britain, intrepid stalkers take to their highseats in pursuit of the latest invader to join the quarry list: escaped wild boar. These aren’t your garden pigs gone feral, but fully tusked beasts on the rampage. Some 300 years after the last wild boar roamed free in Britain, escapees from wild boar farming are rapidly recolonising Britain, taking advantage of the absence of mainland predators like bear and wolves to stake their claim. Pursued for millennia by man for food and fun, native or feral the wild boar offers great sport. Without a doubt, stalking goat is guaranteed to put a smile on your face and give you tall, if odiferous, tales on which to dine out for weeks. The experience is much as you’d imagine, and is best undertaken as a delightful add on to a more conventional stalking excursion. 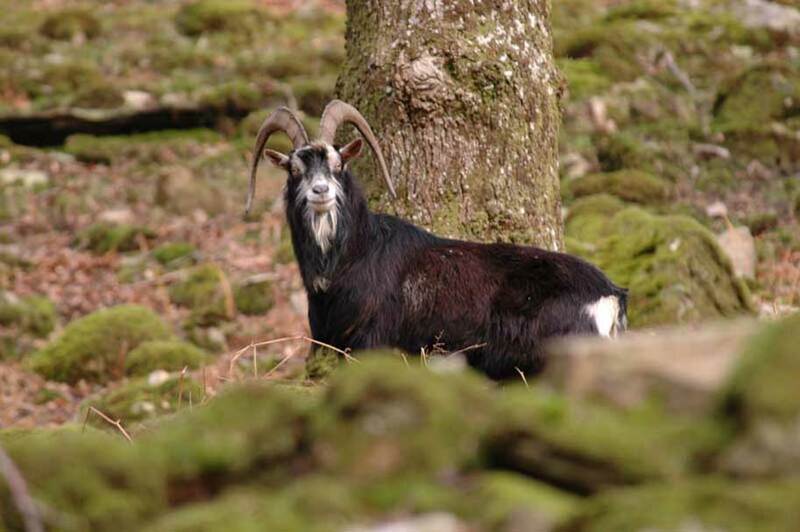 Outside Days offer both wild goat and wild boar stalking in Dumfries, Scotland. Stalking goats is undertaken on foot. Therefore clothing should be suitable for prolonged spells of walking. Dull neutral tones are essential to help you blend into your environment of heather and white grass. No calibre restrictions for goats, we do recommend 0.240 or above. 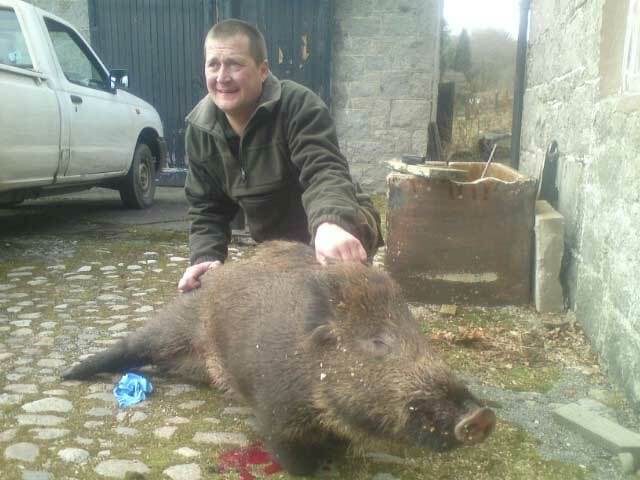 Wild boar requires a minimum calibre of 0.270.